Installer friendly AtlasIED DT22 provides clear paging and background music in a labor saving package. Ideal for use in shopping malls, department stores, and anywhere large quantities of speakers are to be utilized. 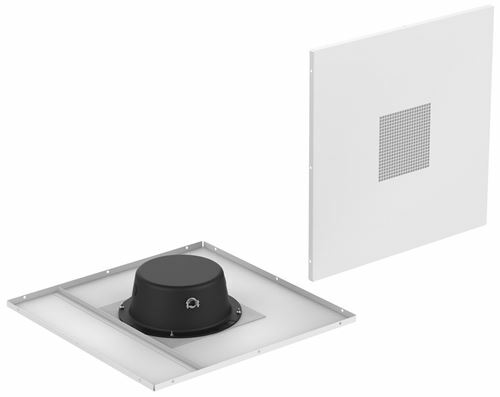 The AtlasIED DT22 2' x 2' drop in speaker system simplifies speaker installation by providing an all in one speaker package in acoustic ceiling grids. The system includes the speaker / transformer, enclosure, and grille. Enjoy clear, crisp paging and background music from the installation friendly DT22 without compromising building cosmetics.